Bali Hotel It was opened in 2006 by Aston Group's villa resort, Astom Legend. 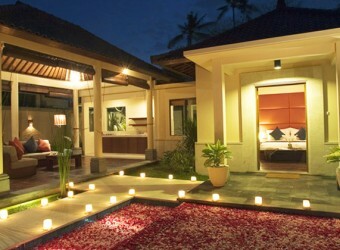 It is little bit far from downtown Sanur, and there are only 6 villas with pool that have tropical atmosphere. Open air kitchen and living room is really cool. They also have public pool and restaurant.